We are seeing “bling” everywhere this season. 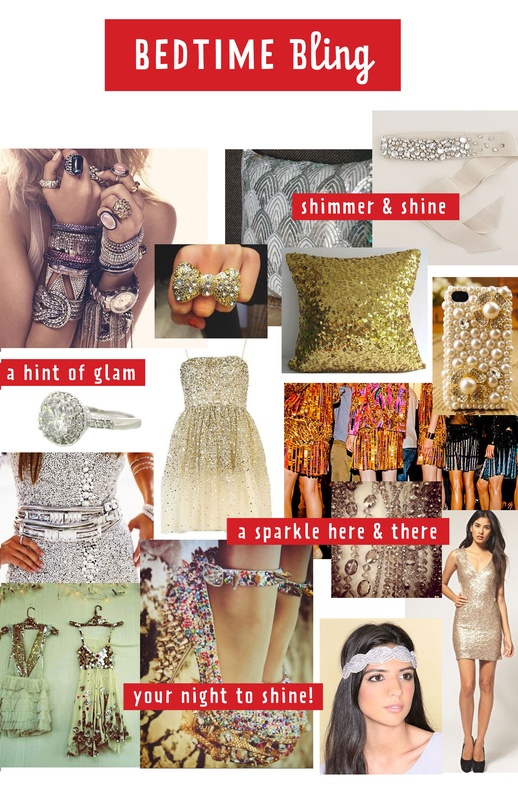 It seems everything is sparkly and spangly, and we are loving it. Paula has adopted many sparkly wardrobe pieces and has a great way of combining them with jeans and more laid back pieces to create the perfect combination of full glitz and easy elegance. In lieu of posting a picture of Paula, I want to share our trend board for our upcoming collections.